It’s all happenin’ at the Zoo…. True. 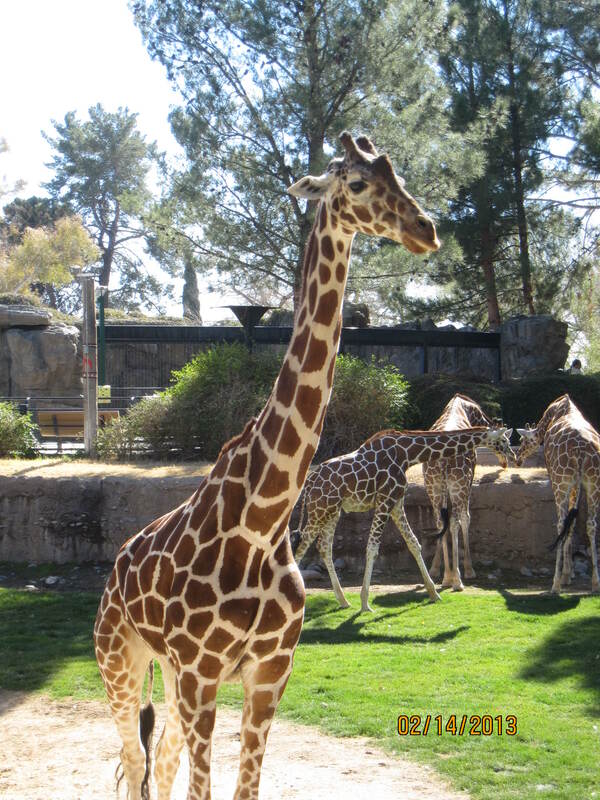 The Reid Park Zoo in Tucson is a pleasant destination. Small enough to get through in less than two hours, clean, and interesting. Exhibits are concentrated on animals from Africa and South America. In my opinion, the giraffes rocked the zoo. Handsome, aloof. Long-legged. Did you know that giraffes have the same number of vertabrae in their necks as humans? We happened to be in the area when they did the elephant ‘experience’. (I can’t remember the phrase for this exhibition, so John and I decided that experience would describe it best). 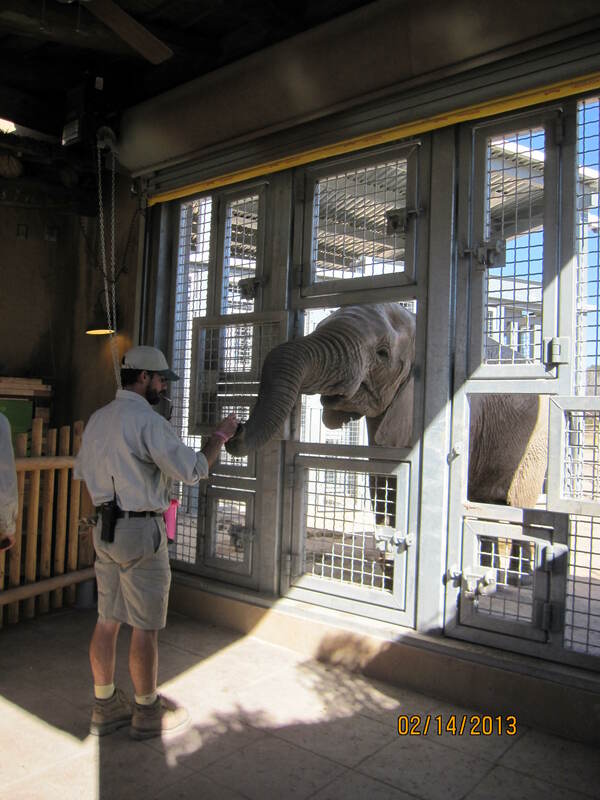 An elephant is behind a large barred area, which has open sections through which he can reach his trunk or a foot, for a trainer/keeper to touch or interact with. The trainer would give the elephant commands like “shake your ears”, and feed the elephant peanuts when the desired response happened. The elephant would sit and turn around, and put her feet through the openings for the keeper to examine. The elephant ‘experience’. Very interesting. No, that’s not a cigarette in the keeper’s mouth – I think it was an emergency whistle of some kind. This apparently happens with each elephant on a regular basis. Gives the trainers a chance to physically give the animals a checkup, and look for cuts or other obvious wounds. It was difficult to get any decent photos, as the sunlight was so bright. Totally washed out the color. 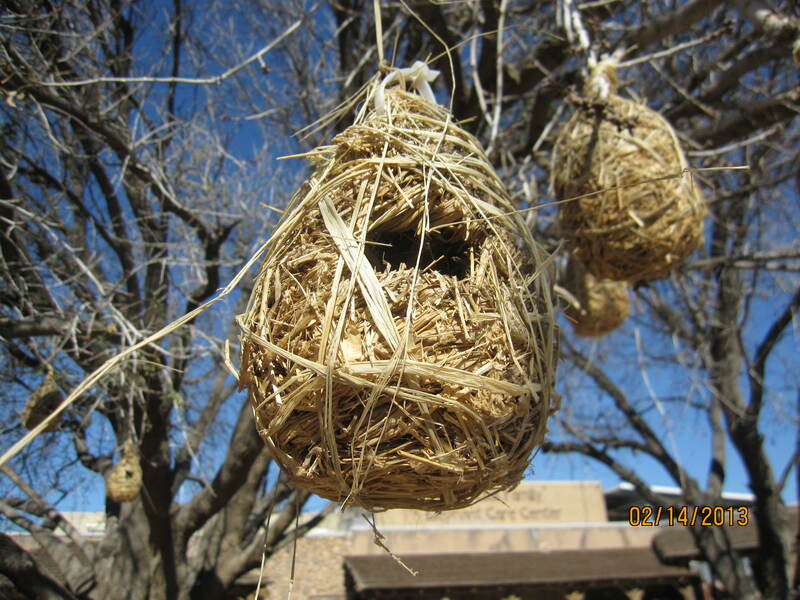 Nests built by birds called weavers. 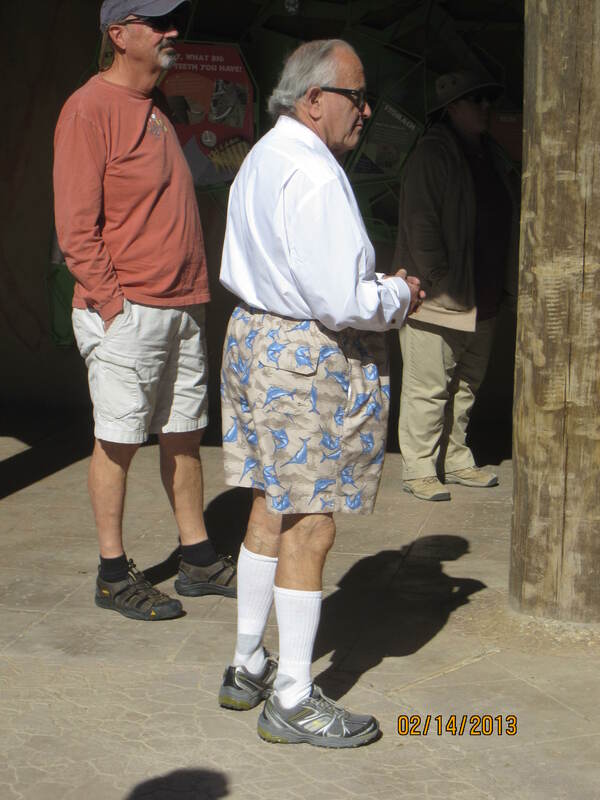 Fashion statement at the Zoo (and I’m not talkin’ about John). Being Valentine’s Day, we went to dinner with my fabulous sisters, Gail & Lynn, and their wonderful husbands, Dan & Jerry. Had a great dinner at the Casino, with lots of laughs, and FREE ROSES! I’m tellin’ you – it was just like Vegas. Another day gone from our AZ stay. Time is flying past – it won’t be long until we head out again for adventures on the road in the T@DA, but we are loving our time in Green Valley with family and friends in the meantime. This entry was posted in Arizona and tagged Arizona, retirement by Judy Crankshaw. Bookmark the permalink. Thanks for checking in. I was relieved to see your post today and find that your Casita hadn’t been damaged. John and I both enjoy your blog so much – you are the most enterprising woman I can imagine – hope our paths cross someday.